One thing that I forgot to mention in the last calf care posts was making sure that we feed new calves quality colostrum. Every time that we milk a new “fresh cow” (a fresh cow is a cow that just had a calf) we test her colostrum. As I mentioned before, calves need colostrum to strengthen their immune systems and to give them energy. 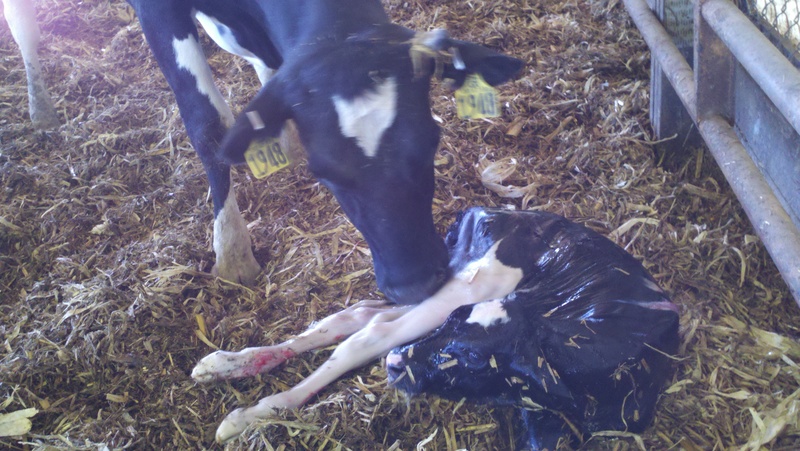 However, if the colostrum isn’t high quality, it isn’t going to do the calf any good. 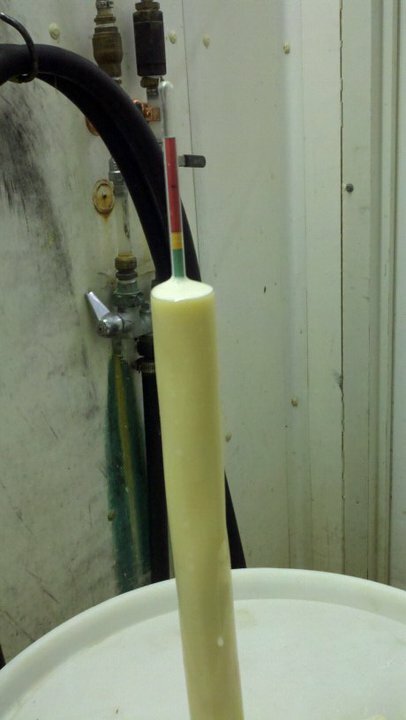 One of the ways to test the milk is to use a “colostrometer.” This is basically a glass tube with a weight in the bottom, and a grading scale on the top. You float this in a cylinder of the colostrum and how ever far in it sinks is the grade of the colostrum. As you can see, this milk scored in the green, so that means it will have enough antibodies to be effective in helping the new-born calf. If this milk were to fail, we have a supplement that we can add to the milk, or if we don’t have any colostrum on hand, we have a colostrum replacer that we can use to make sure the calf gets the colostrum in a timely fashion. We spend a lot of time and effort in getting or calves off to a good start! We have learned that managing our “close up cows” (cows that are with in a couple of weeks of calving) very closely affects our colostrum quality. Through careful herd heath management we have gotten to a point where most of our colostrum will pass this test, but we still check every cow to catch the ones that don’t, because getting calves off to a good start is so important. 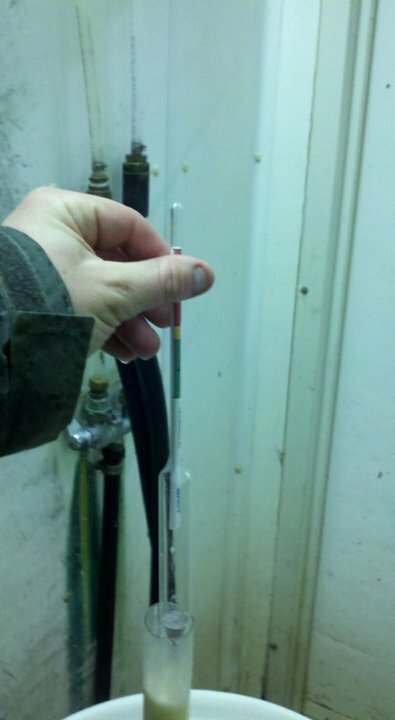 We also very recently switched from using this colostrometer to using a refractometer to check colostrum quality. It just takes a couple drops of milk on the end, then you hold it up to the light and read a scale. One of the main reason that I wanted to switch to one of these is we kept breaking the colostrometers! They also claim a higher level of accuracy, but we have found that they read pretty much the same if you use them correctly.